The first reaction of most people is to take a step backwards and wonder if you’ve chosen the wrong person to travel with. Which is not a surprising reaction because, after all, the typical owl pellet looks (to the un-initiated eyes) like a large, dried dog poo. It’s the right size and shape and even seems to be the right texture. But fear not, your birding partner is not losing their mind; they’re holding up a fascinating window into the lives of that most secretive of birds, the owls. Like all other birds, owls have no teeth and are unable to chew their food. 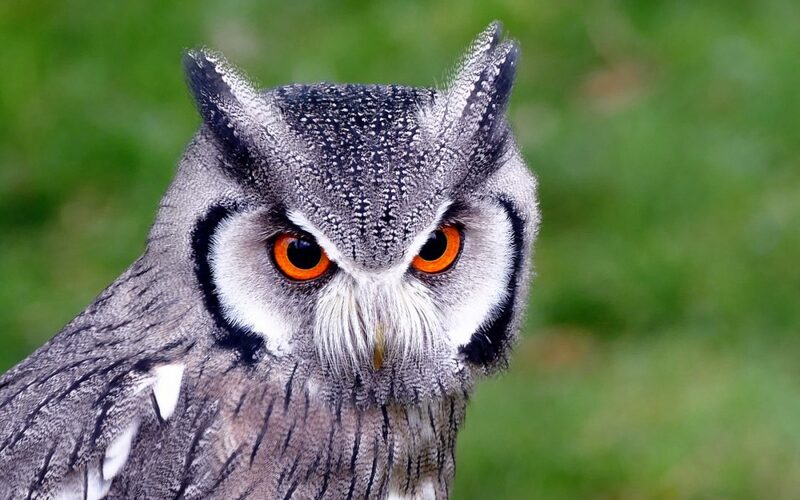 Because the majority of the owl diet is composed of small mammals (such as mice, voles, lemmings, shrews, etc.) the bird is able to swallow their prey whole, bypassing the need to chew their food. The entire prey, say a mouse, slides down the owl’s throat and enters their gizzard. Birds do not have a stomach like mammals do, but they have a gizzard. This is a small, fist-shaped organ which is surrounded by bands of muscles. The mouse enters the gizzard and is broken apart by a combination of powerful digestive juices and strong rotating forces from the gizzard muscles. This muscle action pulls the prey item apart as it softens. Over the course of a couple of hours, the mouse is broken down and everything that is digestible moves from the gizzard into the intestines. The remaining non-digestible material (bones and fur) has been clumped together into a rounded pellet the size and shape of your thumb. The owl regurgitates this pellet and spits it out wherever they happen to be perched at the time. Since many owls will use the same perches during the year, it’s possible to find one of those perches by locating a pile of dried pellets on the ground beneath the perch. Pellets can also be found at the base of fence posts and beneath the owl’s nest. Once the pellets have dried, they are light- to dark-grey masses of fur and bones which look as if they are made of paper mache. They are perfectly safe to pick up as they don’t contain any bacteria or parasites. After all, they did not come out the back end of the owl but the front end. The fascinating thing about owl pellets is that they can be easily pulled apart and examined in order to determine what the owl has been eating. If they are dissected carefully, you will end up with a pile of fur (which looks like the loose fluff that comes from the lint trap of your drier), a collection of tiny bones and a very small skull. And since the gizzard is a highly efficient organ, the bones and skull will be perfectly clean. There are several things which scientists can study by dissecting owl pellets. Firstly, they can determine the diets of owls by identifying the animals which remain in the pellets, mainly by identifying the tiny skulls. They can also determine if an owl’s diet changes on a seasonal basis and therefore, if there is more than one prey type important to the owl’s survival over the course of the year. Scientists have also used pellet studies to map the range of small mammals. Species like shrews and voles are quite secretive and very difficult to study. By collecting owl pellets over large areas and determining which species are found in the pellets, scientists have been able to map the ranges of secretive small mammal species. They have even been able to determine that some species occur in areas where they have never been recorded before. The third use for owl pellets is educational. Once children have overcome their initial apprehension about touching an owl pellet (remember, they do look a bit like dog poo), they are fascinated by the contents of the pellet. Pulling apart the pellet to find tiny, perfectly shaped bones is like going on a treasure hunt. And finding a perfectly preserved mouse skull is like finding the big prize. It’s a great way to introduce children to the study of ecology.